Covenant Baptist Church of Nashville: What Can We Learn From Jesus' Struggle? What Can We Learn From Jesus' Struggle? What can we Learn from Jesus’ Struggle? 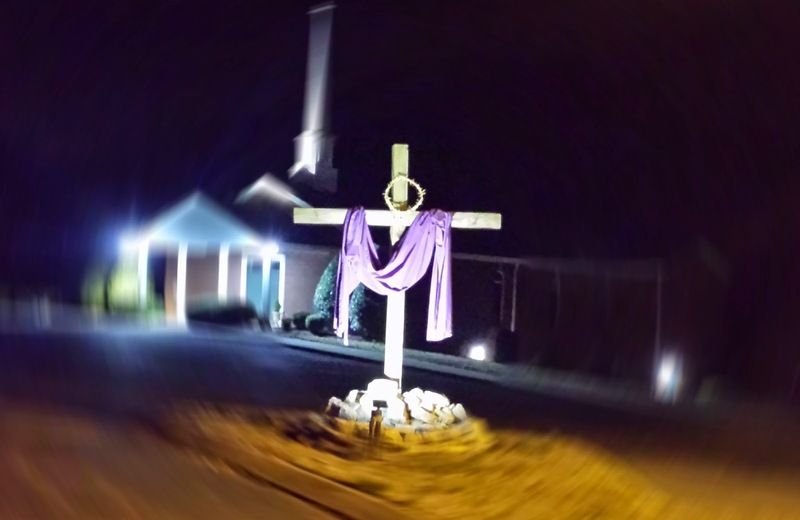 The typical message of Easter of course is a message of Salvation, but there are other lessons we can learn from Jesus’ death, burial and resurrection as well. So, this week we look to see what else can we learn from this great struggle that Jesus went through. To really answer this question let’s talk about the big picture of why Jesus had to die in the first place. According to Romans 3:23 and Romans 6:23, we know that everybody has sinned, and that sin leads to death. So, currently we are all on a path that leads to death. But we don’t want to die, and God doesn’t want us to die, instead He wants us to be in heaven with Him, that is what John 3:16 is all about. So, He sent Jesus, to earth to die on a cross, so that we could be saved, and not have to die. He died in our place. That’s the big picture of why Jesus had to die in the first place. So, the starting point of our story is that we are sinful broken people, living in a sinful broken world and the end point of the story is that everyone who believes in Jesus ends up in heaven with God eternally. But in order to get from brokenness to paradise, there has to be a struggle. There has to be death. And this is true of almost anything. If our starting point is overweight and out of shape, and our desired end point is healthy and in shape, then to get from our starting point to our end point there has to be struggle. There has to be a death…a death of old habits to make way for new habits. If our starting point is broke and out of money and our end point is lots of savings, then to get from our start point to our end point, there has to be struggle, usually we call that work. When we want improvement in our lives there must be a struggle between our start points and our end points. And this is what Jesus’ time on earth represents. It represents a struggle that we could not bear. Jesus came and struggled and died for us, in our place, so that we might enjoy the benefits of His struggle. Jesus’ struggle on earth, His death on Earth, leads to life for us later. So, what can we learn from Jesus’ struggle? The first thing we can learn is that when we ask God to teach us or to grow our faith, or strengthen our relationship with Him, then…shouldn’t we expect struggle? That’s probably not what you were expecting and that’s not what many people teach. And that isn’t really how we want it to work either. We want God to just fix it, and let us go on with life. But often times when we ask God for help, we are asking Him to fix a symptom, not the problem…but I do not believe that God’s intention is to fix symptoms but instead to heal problems. And in order to do that, there must be struggle. So therefore, when we ask God to help us through a storm in our life, we should expect struggle, perhaps even expect death of old habits. How long will we have to struggle? Have you ever asked that question? Did you know Jesus asked that question too? But the thing is that for God’s will to be done, Jesus had to endure all of it, so that ultimately one day we can be in Heaven with God. And ultimately, if we want spiritual growth and we want our faith to grow, and we want to be all that God wants us to be, then we must also endure the struggle…for as long as it takes for His will to be done. Some days, as we struggle and we are fed up with our struggle and we feel like we can’t go on one more minute, we are going to look around, and it is going to seem like God isn’t with us. And we are going to ask the question… God where are you? In all of this? God, why have you abandoned me? Do you know that Jesus asked this question too? During greatest part of Jesus’ struggle, He Cried out “My God, My God, Why have you forsaken me?” Scripture doesn’t exactly clarify What Jesus meant here but the image that we get is that God could not bear to watch His son take on the sins of the world and watch Him die. I wonder what that must have felt like for Jesus. Did He feel alone or maybe abandoned in His greatest struggle. And maybe that is how you feel in your struggle like God has abandoned you. Like God has forsaken you…but the good news is it happened to Jesus…so it wouldn’t have to happen to us. Jesus will never forsake us (Hebrews 13:5). Because Jesus took on our sin and took on our punishment, it means that God will never have to watch us bear that sin and therefore there will be no need for Him to forsake us. We may not always be aware of His presence, but that doesn’t mean He isn’t there. Just like a father who watches over his child as they are learning to walk. He stands behind them, where they cannot see him so they learn to walk with confidence, our God is always with us. We’ve asked God to help us and to grow us. This leads to struggle. Then we get frustrated in our struggle and ask how much longer, but we continue to endure. Then in the greatest part of our struggle it seems we can’t find God. What now? What was the outcome of Jesus’ struggle? Life! Heaven! After His death, there was resurrection and then ascension, which means eternal life for us. It was the greatest struggle ever, but it’s also the greatest win ever! For our greatest wins in our spiritual life, there must be great struggles. Do you need a win? Do you need to ask God for a Struggle?